Greetings. This month I want to share with you my new inventory from Lino Tagliapietra. I’m so impressed by this latest body of work that I’ve decided to devote the entire newsletter to it. Rarely have I had a selection of the maestro’s work which includes so many outstanding pieces from so many of his best known series. It is totally amazing to me that at age 80 Lino is creating some of the most challenging, complex and beautiful work of his long career. I hope you enjoy these images and I look forward to hearing from you with any comments or questions that you might have. 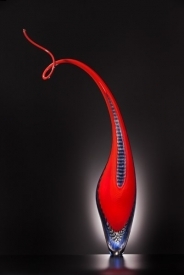 On a different note, the 2015 Dale Chihuly Studio Editions will be officially available on April 1. However, on March 1 I will be sending a Special Edition of Holsten Galleries News with a sneak preview of the four new offerings. 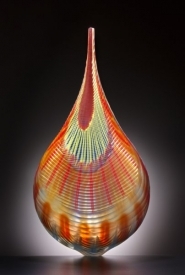 I think you’ll agree that these are some of the most beautiful small-scale Chihuly works to date.